Hernias occur when there is a separation in the muscle wall that allows tissue, fat or bowl to protrude out. You may see or feel a bulge and it may hurt! 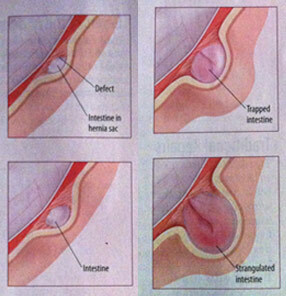 Many hernias can be repaired laparoscopicly thru small incisions in the abdomen wall. Call to schedule a consult with Dr. Prylinski and the two of you can decide what is the best approach for you.